Ford India sold 20,420 vehicles in combined domestic wholesales and exports in October, compared to 11,630 vehicles in the corresponding month last year. October domestic wholesales rose 49% to 10,008 vehicles against 6,723 units in the same month last year, while exports more than doubled to 10,412 vehicles compared to 4,907 units in October 2014. 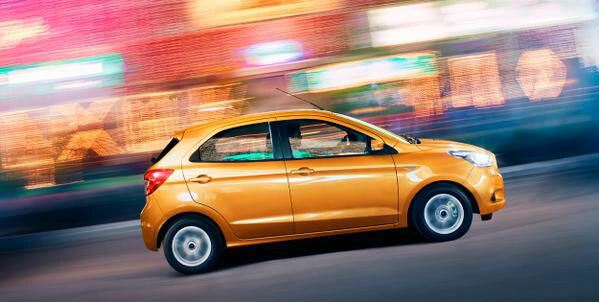 Bringing the youngest product portfolio to life, Ford India introduced a capable compact sedan Figo Aspire, clever hatchback new Figo and the new EcoSport in the past few months. The three new products are setting new benchmarks in their respective segments with class-leading in-car technologies such as SYNC with Ford AppLink, Ford MyKey, unmatched safety (all offering up to six airbags), delightful driving dynamics and outstanding fuel efficiency. To begin with, Ford Credit India will offer retail financing at key dealerships across 17 cities including Delhi, Chandigarh, Dehradun, Ludhiana, Jhansi, Agra, Moradabad, Ahmedabad, Mehsana, Jamnagar, Bangalore, Chennai, Cochin, Hyderabad, Gaya, Dhanbad and Durgapur. Going further in its commitment to make the Ford brand even more accessible to customers, the company expanded its operations with the inauguration of four new sales, service and spares facilities in Gurgaon. Ford India also expanded the availability of its Genuine Service parts in Maharashtra and Goa with the appointment of Autoji Ford Parts as an exclusive distributor.